Even if you don’t consider yourself ‘stylish,’ that doesn’t mean that you still don’t have a look of some sort. And no matter how comfortable you are in it for how long, there’s always going to be that desire at some point to update. And updating can certainly be expensive, especially when it comes to clothes. Good thing there are some tips that you can follow to get that new look without totally killing your bank account, right! Five tips in particular that are easy to follow include finding shoes on sale, hitting up the local thrift store, looking for seasonal deals, swapping clothes with friends, and even hitting up garage sales. Shoes are what keep you grounded, figuratively and literally. But they can be a pretty penny that you might not want to spend. So, as you’re updating your fashion, look for shoes on sale. It’s that easy to get started looking and feeling different about your appearance. Generally have an idea of the category of shoe you want – business, casual, sports, etc. – and then just find a store – physical or online – that has what you want, and you’re on your way. If you’ve never tried thrift store fashion, then now’s the time to do it. There’s simply no better way to save money on clothes that are unique, intriguing, available in all sorts of different styles and sizes, and will typically retail for a fraction of the price of any commercially available threads. You might have to put some effort into the search, but there are name brands in there as well, especially with the button down shirts. 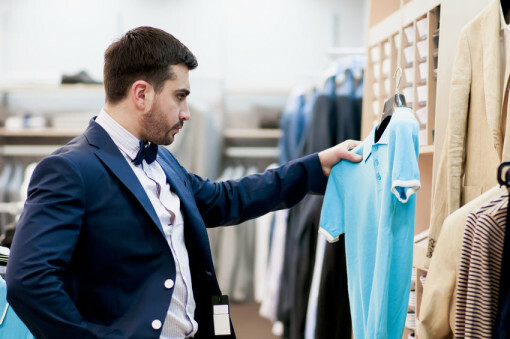 If you’re a bit more patient with your fashion needs, an easy way to save money is going to be to buy clothes in the off-season. Buy your next winter coat at the end of winter. Buy your next summer outfit at the end of summer. You can find ridiculous deals on amazing clothes if you search for those sales. Especially if you’re in a bigger community, another way to update your fashion sense without spending any money at all is to simply swap clothes with friends. Because ‘new’ isn’t always what you’re looking for, just ‘new to you’. And finally, it’s hard to beat the type of clothing and fashion items that you can find in big collections of garage sales. You can find things like vintage jackets, old sunglasses, belts, ties, business suits – you name it, there will be something there for you to purchase, outside even of the realms of the thrift store shopping you did earlier.